astaire_carefree_hypno.jpg Astaire the psychiatrist in CAREFREE. courtesy Mirrorpix. 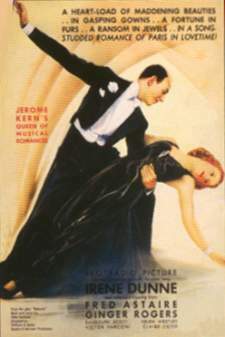 shallwedance_poster.jpg A poster from SHALL WE DANCE. courtesy Greatest Films. 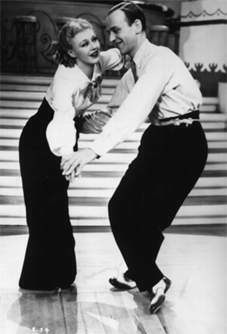 swingtime_pickselfup.jpg Ginger and Fred dancing to "Pick Yourself Up" in SWING TIME. courtesy Mitali's Images on Film (no longer online). followfleet_poster.jpg A poster from FOLLOW THE FLEET. courtesy Greatest Films. 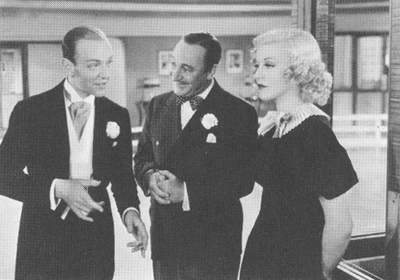 astaire_rogers_tophat.jpg Ginger and Fred in TOP HAT. courtesy NetEstado. 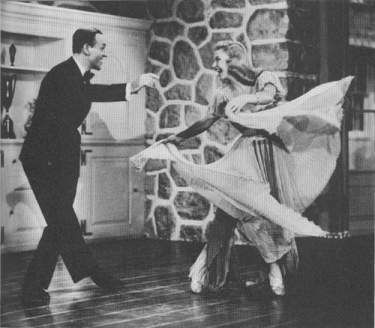 waltzinswingtime.gif Ginger and Fred dancing to the "Waltz in Swing Time" from SWING TIME. castles_pic.jpg A photo of Vernon and Irene Castle. courtesy the Library of Congress. fg_barkleys_highlandfling.jpg Singing "My One and Only Higland Fling" from THE BARKLEYS OF BROADWAY. 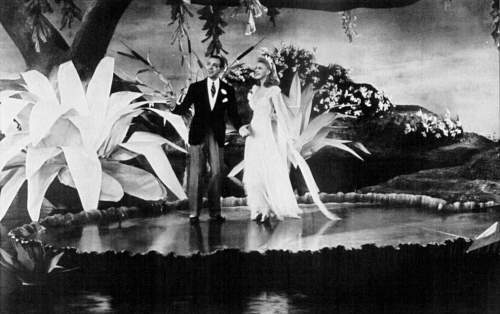 scanned from The Films of Ginger Rogers by Homer Dickens (1975). 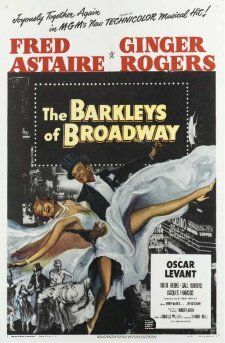 fg_barkleys_poster.jpg A poster from THE BARKLEYS OF BROADWAY. courtesy Christies. fg_barkleys_swingtrot.jpg Doing the "Swing Trot" in THE BARKLEYS OF BROADWAY. 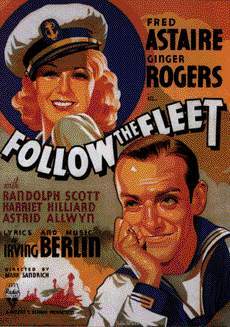 scanned from The Films of Ginger Rogers by Homer Dickens (1975). fg_carefree_colorblind.jpg In "I Used to be Color Blind" from CAREFREE. 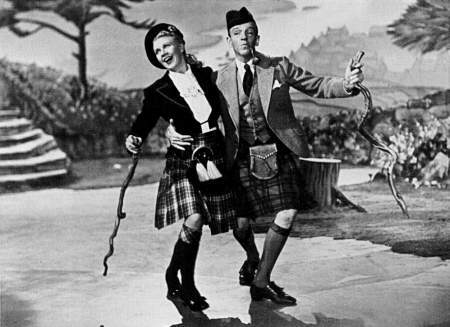 scanned from The Films of Ginger Rogers by Homer Dickens (1975). fg_carefree_poster.jpg A poster from CAREFREE. courtesy Bruce Hershenson's Vintage Posters. fg_carefree_yam.jpg Ginger and Fred dancing "The Yam" in CAREFREE. 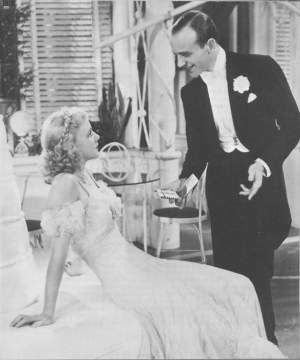 scanned from Ginger: My Story by Ginger Rogers (1991). 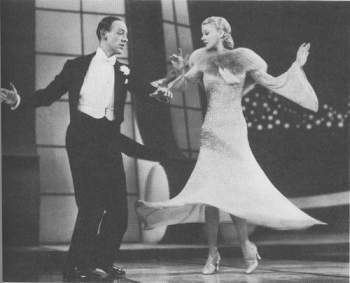 fg_castles_maxie.jpg Dancing "The Maxie" in THE STORY OF VERNON AND IREENE CASTLE. 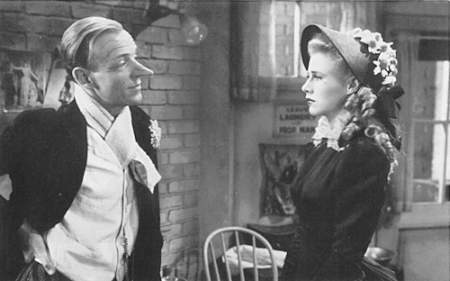 scanned from The Films of Ginger Rogers by Homer Dickens (1975). fg_castles_noses.jpg As the title characters in THE STORY OF VERNON AND IRENE CASTLE. 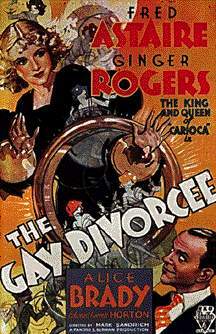 scanned from The Films of Ginger Rogers by Homer Dickens (1975). fg_castles_poster.jpg A poster from THE STORY OF VERNON AND IRENE CASTLE. courtesy Bruce Hershenson. fg_divorcee_nightday.jpg Leading up to "Night and Day" in THE GAY DIVORCEE. 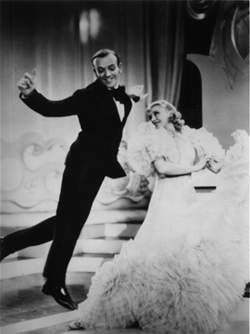 scanned from The Fred Astaire and Ginger Rogers Book by Arlene Croce (1972). fg_fleet_facemusic.jpg Ginger and Fred dancing to "Let's Face the Music and Dance" from FOLLOW THE FLEET. 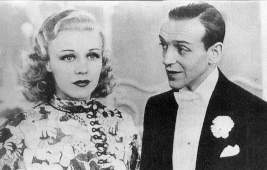 scanned from Ginger: My Story by Ginger Rogers (1991). fg_fleet_onebasket.jpg Singing "I'm Putting All My Eggs in One Basket" from FOLLOW THE FLEET. 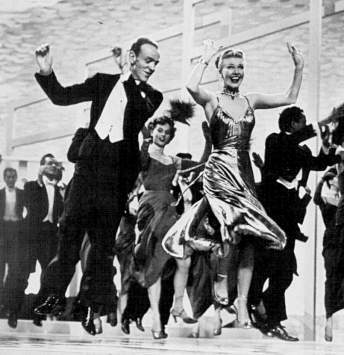 scanned from Fred Astaire and Ginger Rogers at RKO: Motion Picture Soundtrack Anthology booklet by Rhino Records. 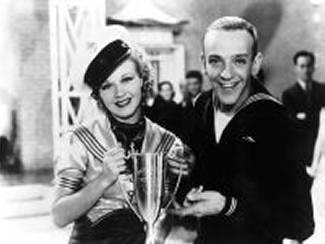 fg_fleet_trophy.jpg Fred and Ginger with their dance contest trophy in FOLLOW THE FLEET. courtesy Mirrorpix. 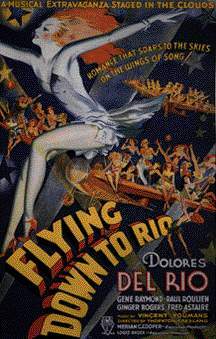 fg_rio_carioca.jpg Dancing "The Carioca" in FLYING DOWN TO RIO. scanned from Ginger: My Story by Ginger Rogers (1991). fg_roberta_poster.jpg A poster for ROBERTA. 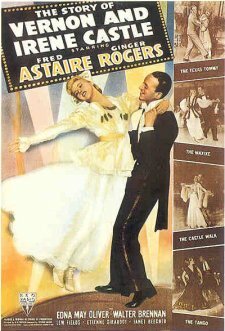 scanned from Fred Astaire and Ginger Rogers at RKO: Motion Picture Soundtrack Anthology jacket by Rhino Records. fg_roberta_smokeeyes.jpg Dancing to "Smoke Gets In Your Eyes" in ROBERTA. 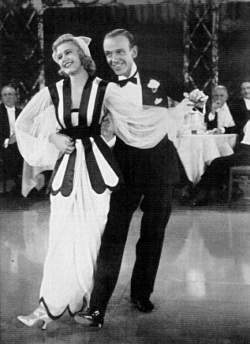 scanned from The Fred Astaire and Ginger Rogers Book by Arlene Croce (1972). 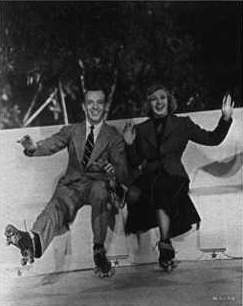 fg_shallwedance_skates.jpg Roller skating to "Let's Call the Whole Thing Off" in SHALL WE DANCE courtesy The George and Ira Gershwin Archive (no longer online). 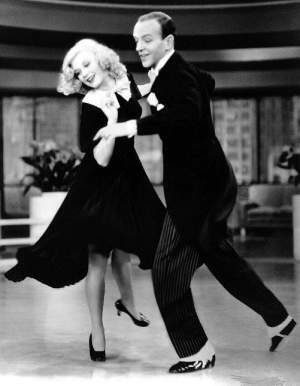 fg_swingtime_lesson.jpg Disagreeing over dancing lessons with Eric Blore in SWING TIME. 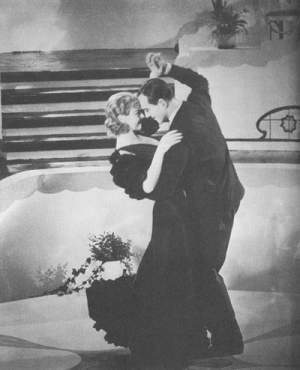 scanned from The Fred Astaire and Ginger Rogers Book by Arlene Croce (1972). 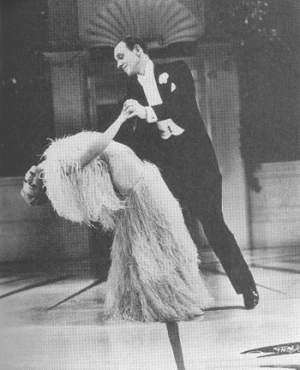 fg_tophat_feathers.jpg Dancing to "Cheek to Cheek" in TOP HAT. 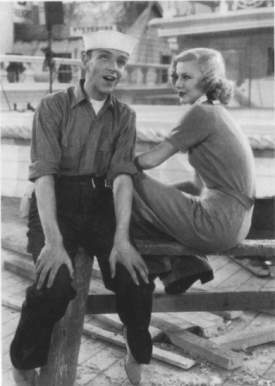 scanned from Ginger: My Story by Ginger Rogers (1991). 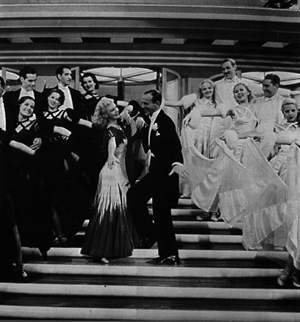 fg_tophat_lovelyday.jpg Dancing to "Isn't It a Lovely Day to be Caught in the Rain" in TOP HAT. 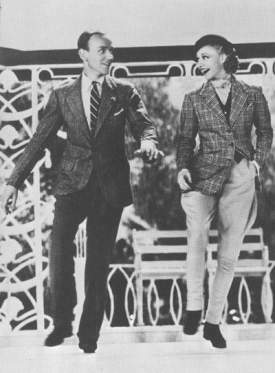 scanned from The Fred Astaire and Ginger Rogers Book by Arlene Croce (1972). 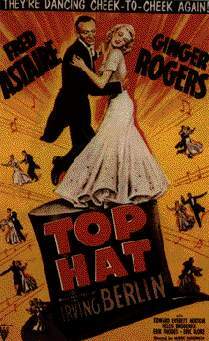 tophat_poster.jpg A poster from TOP HAT. courtesy Greatest Films. flyingrio_poster.jpg A poster from FLYING DOWN TO RIO. courtesy Greatest Films. 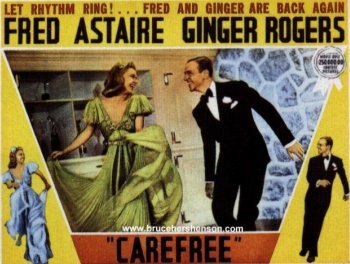 gay_divorcee_pic.jpg Ginger and Fred doing "The Continental" in THE GAY DIVORCEE. scanned from 65 Years of the Oscar: the official history of the Academy Awards by Robert Osborne (1994). gaydivorcee_poster.jpg A poster from THE GAY DIVORCEE. courtesy Greatest Films. 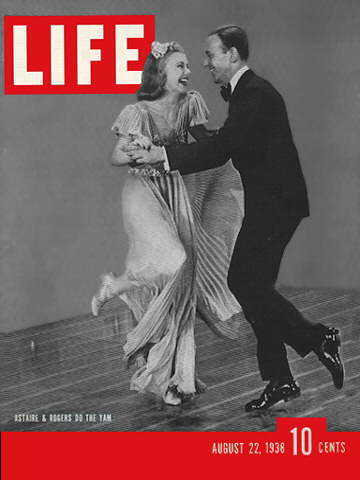 lifecover_22aug38.jpg Ginger and Fred of the cover of the August 22, 1938 issue of LIFE Magazine. courtesy the LIFE Magazine Homepage. roberta_hardtohandle.jpg Ginger and Fred in ROBERTA. courtesy the Rhino Records Homepage. 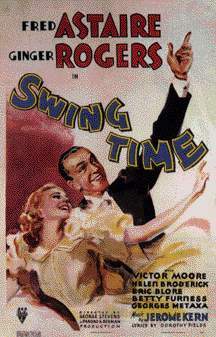 swingtime_poster.jpg A poster from SWING TIME courtesy Greatest Films. 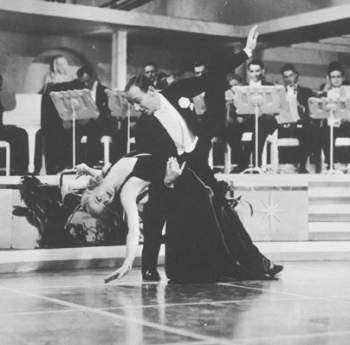 swingtime_waltz2.jpg Another picture of Ginger and Fred doing the "Waltz in Swing Time." courtesy the Rhino Records Homepage.